Sunday Chronicle epicuriosity 12 Nov 2017 One pot wonder! Prepared and eaten in almost every part of India and down the ages, Khichdi is a ubiquitous one pot meal which has several creative variants today. After rumours that khichdi was named India’s national dish, it was later clarified that the dish was only selected for the World Food India event to popularise it. India went on to successfully set the Guinness World Record by cooking about 918 kg khichdi at the event! Khichdi, a complete balanced one pot meal, is found in every region of India, and is the primary influence for dishes like Risotto, Paella, Harees, Haleem, Pulao... and the list goes on. 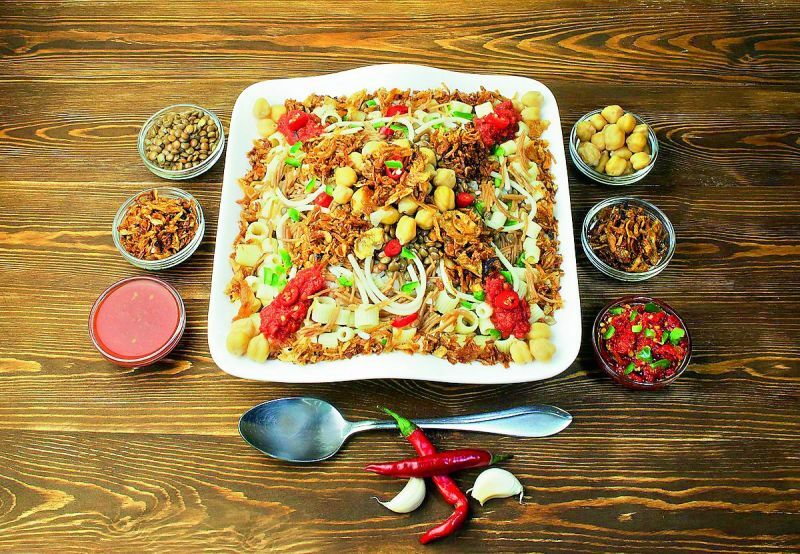 In fact two dishes — Kushari from Egypt and Kedegree, a famous breakfast dish in UK — are both adaptations of our desi khichdi. There is no official record about the origin of khichdi, but the dish is mentioned during the Mahabharat times. As far back as 360 BC, Seleucus in his memoir mentioned this type of dish as being popular in the Indian subcontinent. Khichdi was one of the most favourite Indian delicacies among the Mughal Emperors as well. As per Ain-e-Akbari, seven types of khichdis were popular in Akbar’s royal court and it was a regular item in his everyday menu. Also, most ancient international travellers like Ibn Battuta, Afanasy Nitiyon etc. enjoyed this delicacy and took back the recipe to improvise it according to their tastes and available ingredients. Khichdi provides a very healthy meal in a one pot dish format. But, unfortunately, for many of us, it is least preferred as it evokes an image of a bland, tasteless, flavourless dish. Though vastly underrated, this classic dish holds plenty of goodness in its tasty and interesting versions. Cook Basmati rice, chickpeas, pasta and masoor dal and set aside. To make sauce: Heat oil in a sauce pan. Add the grated onion, sauté on medium-high until the onion turns translucent gold (do not brown). Now add the garlic, all the dry masalas, chopped green chillies and continue to sauté for another minute. Then add grated tomatoes, tomato puree, sugar, black pepper powder, salt to taste and cook on medium flame until the sauce thickens. Add white vinegar, fresh coriander and turn the heat to low. Cover and keep warm until ready to serve. To serve: Fluff the rice and masoor dal with a fork and transfer to a serving platter. Top with the pasta and half of the cooked sauce, then the chickpeas, and finally half of the crispy onions for garnish. Serve, and pass the remaining sauce and crispy onions separately. Wash rice and dal and soak them separately for 25 to 30 minutes. Heat the ghee in a heavy bottom vessel, add the cumin seeds and cook until they stop spluttering. Then add the chopped onions and sauté till they turn transparent. Stir in ginger-garlic paste and fry for 1 minute. Add the remaining spices along with garam masala and mix well. Cook for three to four minutes, stirring frequently. Add the tomatoes and cook until the oil begins to separate from the masala and the tomatoes turn pulpy. Then add the mutton and lentils. Cook until the meat turns evenly brown. Add the vegetables, rice, stock cubes and four cups of water. Taste and season with salt if necessary. Mix well and bring to a boil. Cook for another two to three minutes, then lower heat to a simmer. Put lid on and cook until rice and lentils get really soft. Add more water as needed to keep mixture thoroughly moist as it cooks. Once the rice and lentils get soft enough to mash, turn off the heat and allow the khichdi to rest without removing the lid for 10 minutes. Stir before serving. The khichdi should be moist and porridge-like in consistency.Garnish with fried onions and serve hot. Wash and soak Basmati rice for 30 minutes, then cook the rice in slightly salted water and milk, drain, fluff it up and set aside to cool it down. Boil the eggs for 10 minutes, keep them under cold running water and set them aside. Take the fish pieces along with bay leaves in a shallow pan, pour enough water to cover. Bring to a boil, reduce the flame to low medium, cover and cook for about five to seven minutes, until cooked through. Remove fish from the pan and cool it down to room temperature. Remove the skin from the fish, flake into chunks and set aside. Heat the ghee in a pan over low heat and add the mustard and cumin seeds. Let them crackle and stir in the ginger, onion and garlic. Sauté for few minutes till the onion starts changing colour, then add the turmeric powder, chopped chillies and salt. Cook for a few more minutes, then add the chopped tomatoes and lemon juice. Now stir in the green peas, cooked rice and heat through. Then add the fish. Once piping hot, remove from heat and add the fresh coriander. 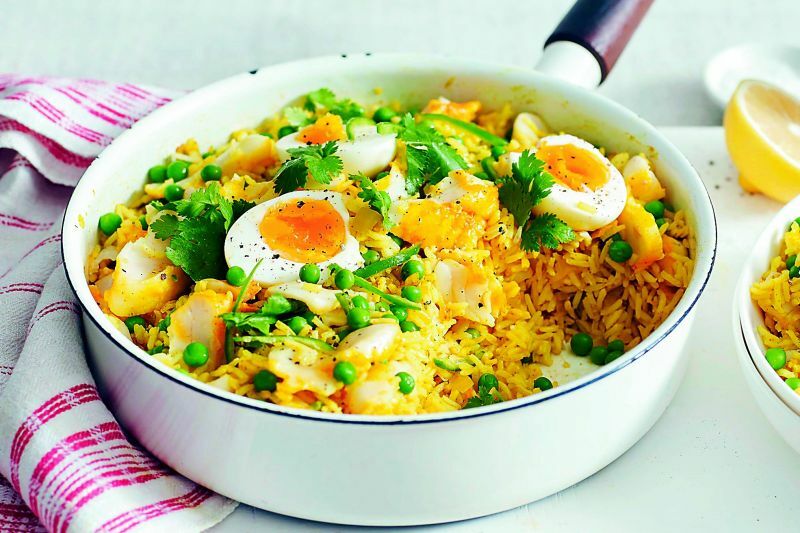 Slice the eggs into quarters and place on top of the rice, garnish with lemon wedges, fresh coriander and serve. What’s different about Hyderabadi khichdi? 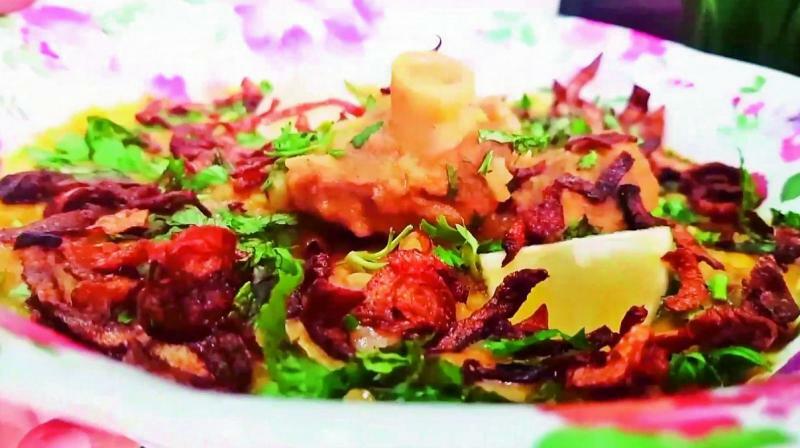 The ingredients of course,” Nawab Mehboob Alam Khan shares, elaborating, “While most khichdi preparations use toor or moong dal, the Hyderabadi version uses masoor dal. Also, turmeric doesn’t feature in the ingredients list although some people use it in the modern preparations. The colouring of the dish comes from the caramelised onions that are an important flavour of the dish. In fact, khichdi is generally considered a comfort food that is good for the sick, but Hyderabadi khichdi actually requires a lot of energy and good health to digest.” Khan asserts that the use of ingredients like cardamom, cinnamon and caramelised onions amongst others make it a luxury dish. “I’d like to call this the breakfast equivalent of a biryani!” he says.